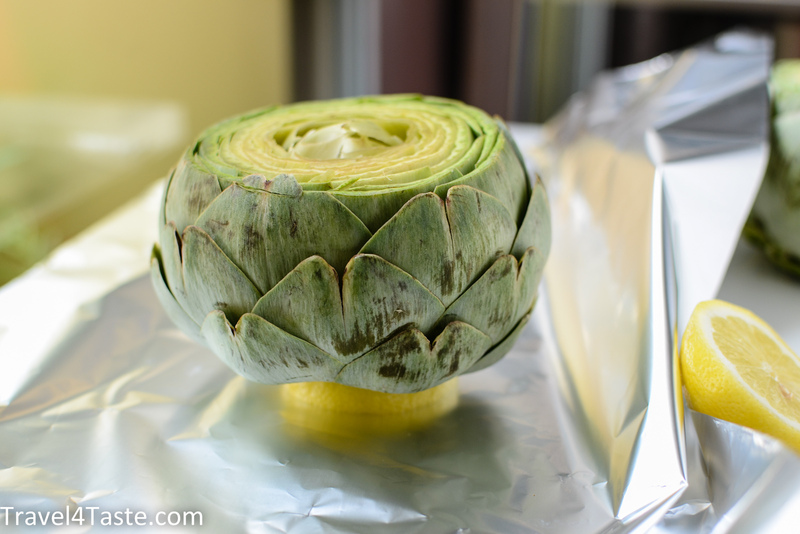 I didn’t see many Artichokes in Poland. 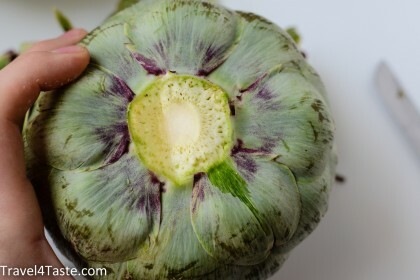 I got to know this beautiful (and tasty!) plant while leaving in France where it is very popular. Since the first time I saw it Artichoke seemed to me very intriguing. It took me some time before I was courageous enough to buy it and do it myself. 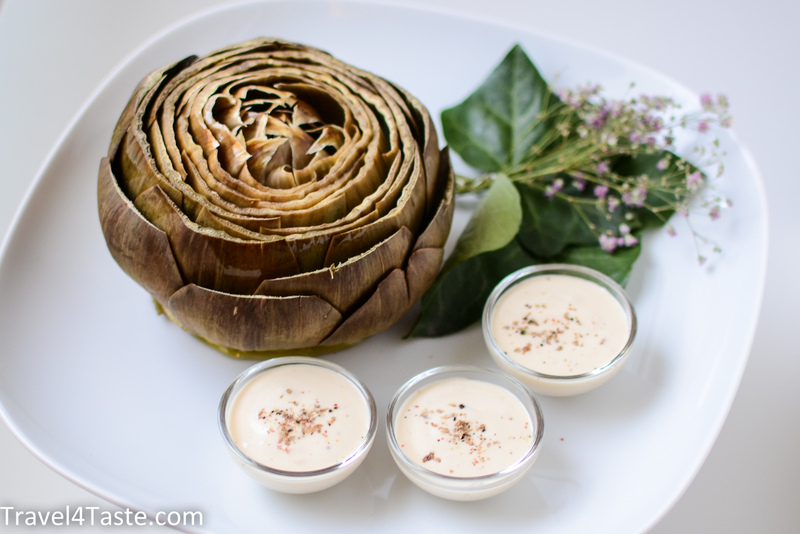 Here I present you a very simple way to bake your artichoke. 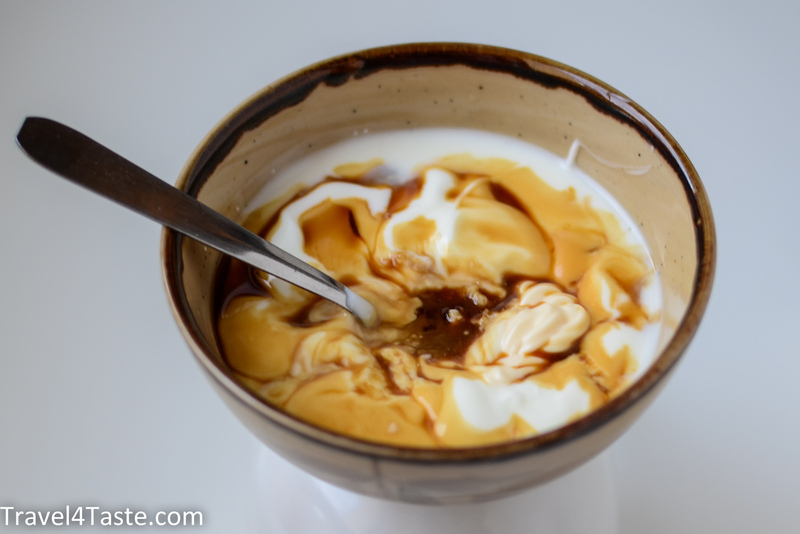 It goes really nice with a garlic yogurt dip. 1. Break off the stem. 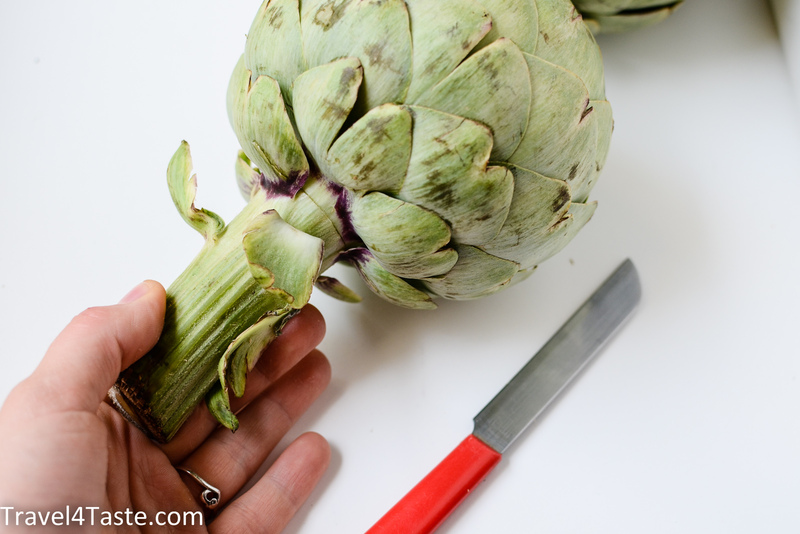 It is important to break it and never cut it off so the eventual fibers from the stem are removed. I first do a little incision so it is easier to break it off. 2. Now remove some the most exterior tough leaves. 3. 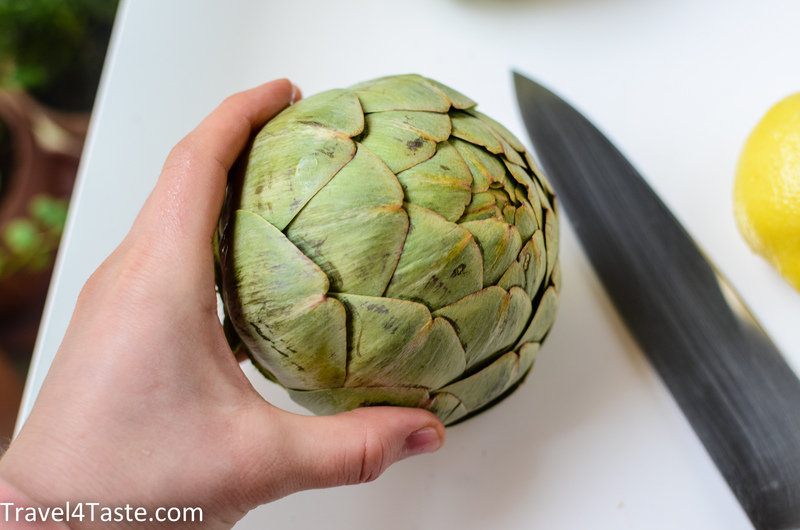 Using a sharp knife cut off the top of the Artichoke. 4. 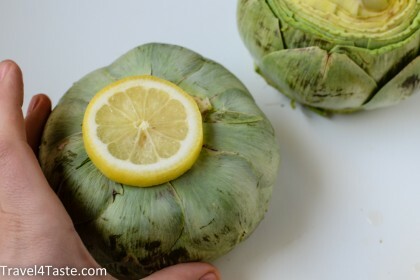 Cut the lemon in two and from each cut off a 0,5cm slice. This slice is to put on the base of Artichoke. 5. 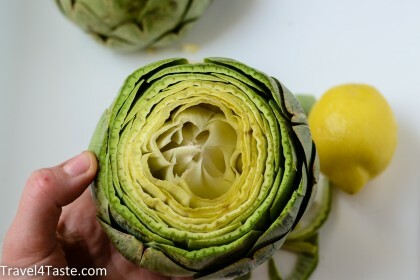 Use the remaining lemon to sprinkle over the Artichoke. The lemon will let your Artichoke keep it’s pretty color (without lemon it will get dark). 6. 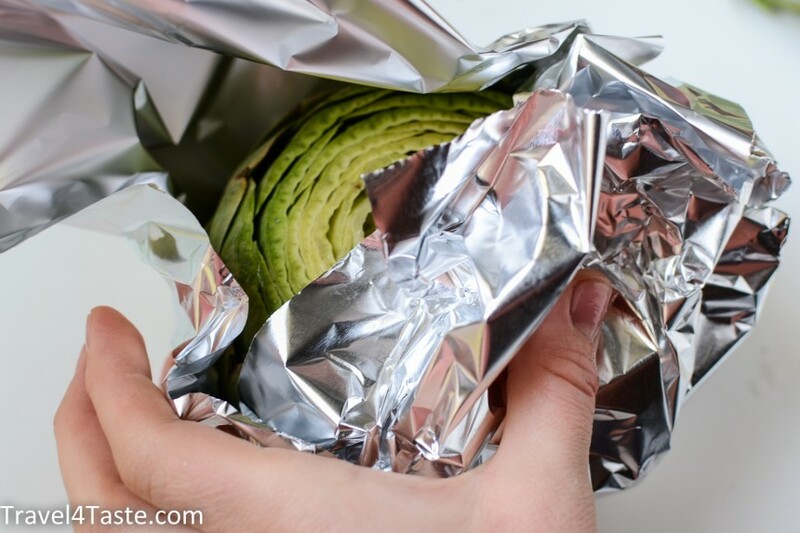 Wrap it well in aluminium foil and bake for around 1h at 180-190′C. 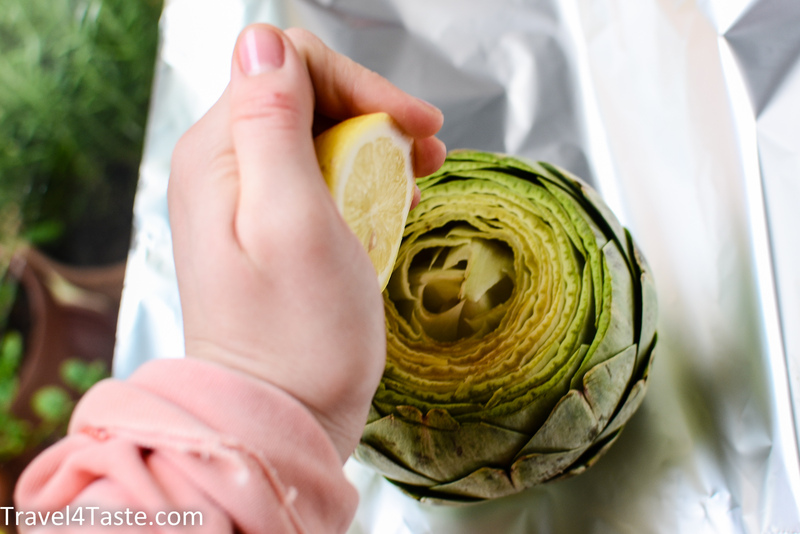 When the Artichoke is well done the leaves will go off very easily. 7. While baking you can prepare the garlic yogurt dip. It is really easy. 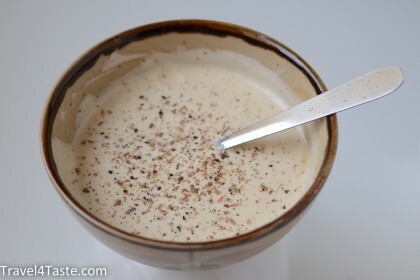 You just need to mix all ingredients. 8. 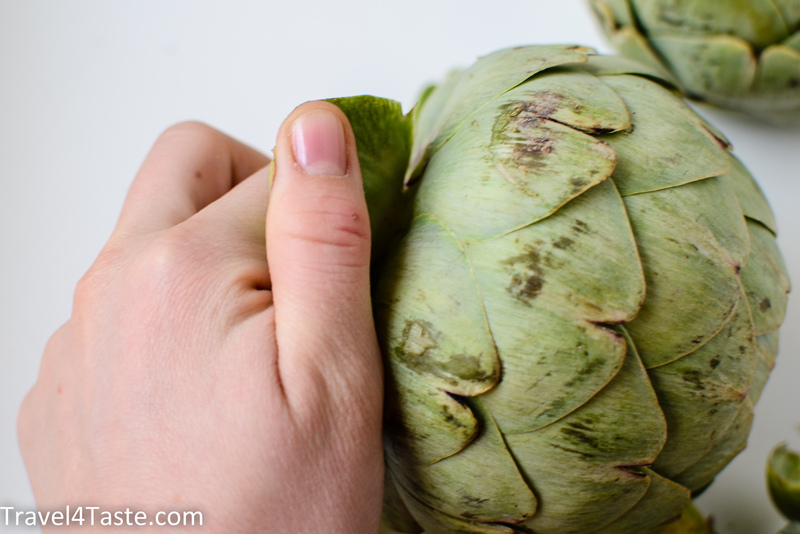 If you are not sure how to eat your Artichoke: Eat everything that is soft! - Start with big leaves. you can eat its base and some of inner part (with some dip!). - When all leaves are gone you will have to remove (eg with a spoon) the hairy part. - what is under the hairy pari is called the heart of Artichoke. It is delicious! This entry was posted in Dinner, France, Healthy, Italy, Sauce, Snack, Spain, Vegetables. Bookmark the permalink.